Jacques Roc entered the jingle industry at the age of 16 with his first music composition for Trans-Caribbean Airlines. Later he became an Agency Producer with Lockhart & Pettus, a leading advertising agency in New York . At the same time, Jacques formed his production company, Jacques Roc Productions, specializing in producing radio and television commercials for major corporate entities in the United States and abroad. Jacques also composed original jingles and musical scores for spots. He has directed and produced such celebrities as: Gerald Levert, Danny Glover and Malcolm Jamal Warner. He co-produced original jingles involving Whitney Houston, Ray Charles and Michael Jackson. 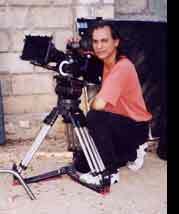 Jacques Roc has directed and produced over 180 television commercials and public service announcements for companies like Pfizer, Chase, Chrysler, Carson Products, NYC Dept of Health, Tiger Balm and Gaseteria. A press release in 1995 denoted Jacques Roc to be a "triple threat man", being director, producer and composer for the television spot. The talent was Gerald Levert. As a composer and music producer, Jacques Roc has written countless jingles for corporations such as the U.S. Army, Bayer, McCormick Foods, Publix, Pepsico, Citibank, KFC, American Cancer Society, Greyhound, Volvo and other giants. He recently created, produced and directed a well-acclaimed tv spot for Profectiv hair care product. Jacques also composed and produced the music score as well.